I remember clearly the day that I learned for sure that I know nothing. I was standing in line at the dollar store, casually eavesdropping on the woman ahead of me talk with the woman behind the register about feeding their ravenous newborns. I nodded smugly, caressing my huge belly and thinking back to when my other two kids were new and endlessly hungry. I smiled, confident in my ability to empathize and ready to interject a wise comment as a soon-to-be mother of three. And then I stopped to actually listen. And I heard the woman behind the counter lament that her 1-month-old still seemed hungry even after finishing his formula. I nodded, a little less confidently (having no experience with formula) but still with sympathy; hungry babies are hungry babies. I heard the woman ahead of me suggest following her lead by giving the baby cereal. And now I nodded even less securely, resisting–somehow–the urge to scream, “Noooo, don’t do it, your baby is way too young for solids!” But (and I am embarrassed to recall this) a part of me really really wanted to pass on my “advice.” A part of me really want to jump in with all the judgment I’d resisted on the nursing front (because, and I swear I mean this, I do get that what works for me doesn’t work for everyone, and that there are many many reasons why women don’t or can’t nurse), telling her (not that she’d asked) that formula really is just fine for a newborn, but cereal certainly is not. And then I heard the woman behind the register ask the other woman if her baby’s tummy handled the cereal, and if it constipated him. No, she answered, the little one handled it just fine, and managed to finally (finally!) be full. 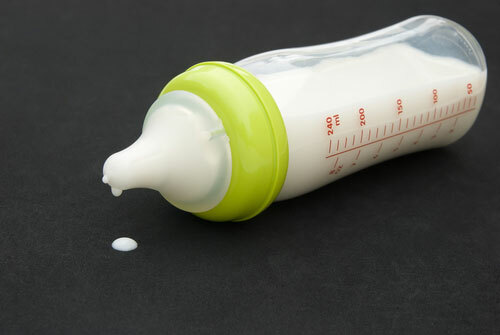 The woman behind the register sighed with relief and frustration, saying that she might just try it, because she needed to do something and she was out of options: the amount of formula provided by WIC simply wasn’t enough to make it through the month. And her baby was hungry. Her baby was just too hungry. Huh. Every impulse to scream shifted direction, quieting into an overwhelming sense of shame. And sadness. Here was a mother doing what every mother in the world does: attempting to nourish her baby as best she could, with whatever resources she had available. What could I possibly know, or even imagine to know, about the devastating choices she must make? Instead of feeling confident and supportive and wise, I felt embarrassed–of my own privilege, and the failure of imagination and inability to empathize with some truly terrible decisions that it engendered. And then I began to feel angry: with myself, for living complacently in a place where a working mother with government assistance is still unable to adequately feed her child; with the state, for sustaining this impossible scenario; and, frankly, with other mothers, for wasting time (so much time!) judging rather than helping, with challenges rather than solutions. What would it be like if–in the case of mothers who wish to nurse but cannot because of their jobs, biology, lack of support, or their lack of education–we worked together to make breastfeeding possible? And what would it be like if–in the case of mothers who actively choose or have no choice but to turn to formula–we worked together to ensure that they have access to safe and affordable and adequate amounts? And what would it be like if–in the case of mothers who feel lost, and unsupported by their governments or their communities or other mothers–we reached beyond our own boundaries to offer that support? I may not know much, or even anything at all, but I do know this: it would be better. If you were moved by this piece, we strongly encourage you–like many of our readers have already done–to reach out to your local food banks to donate formula, baby food, or your time. To learn more about childhood poverty and various efforts happening across the country, check out the National Center for Children in Poverty.